I don't have any questions at this time but I did want to show some cool shots of side tents seen at the Shoreline Show. So if these are yours speak up! 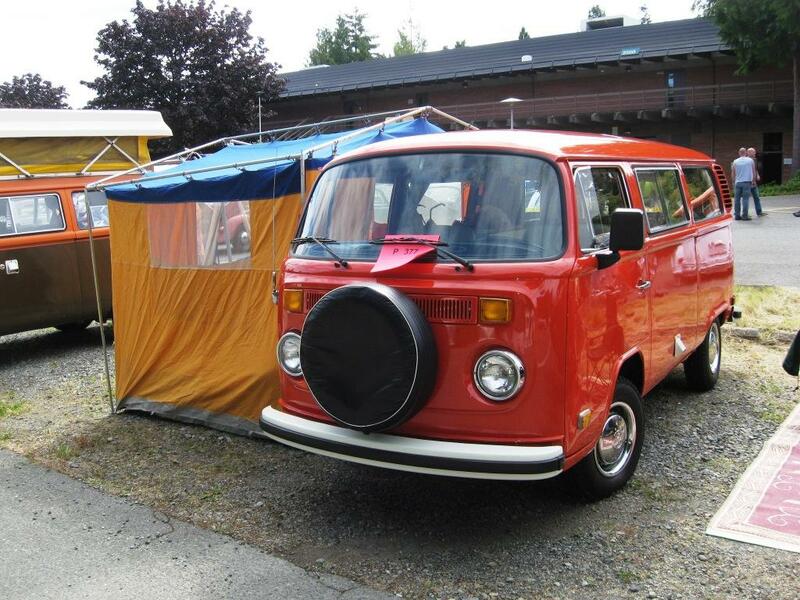 One was a Westfalia Tent that is a fairly common one to see, but not everyone goes out of their way to display one at a show. The second was an ASI Rivi tent, definitely a rare site anywhere. 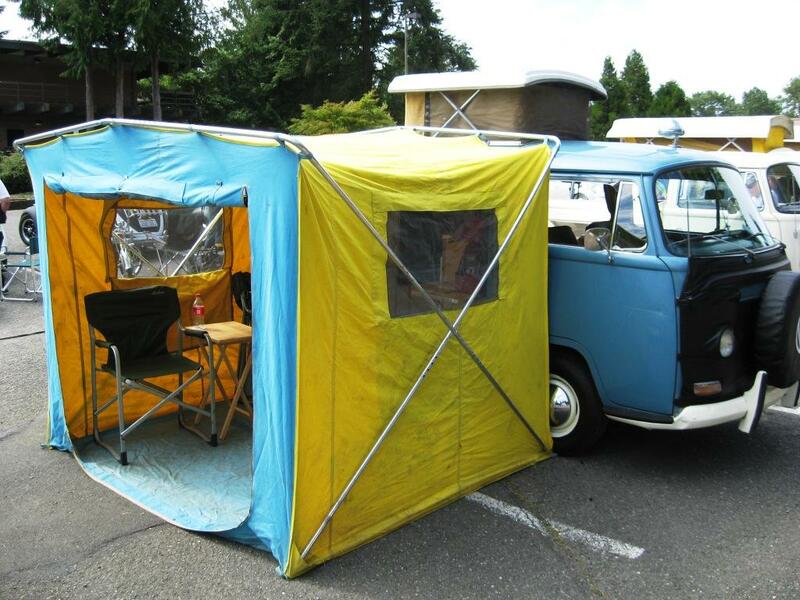 This is a tent made by Beckel Canvas Products in the 70's, and was an option when purchasing your VW Bus from Riviera/Sunset Motors in Beaverton, Oregon. 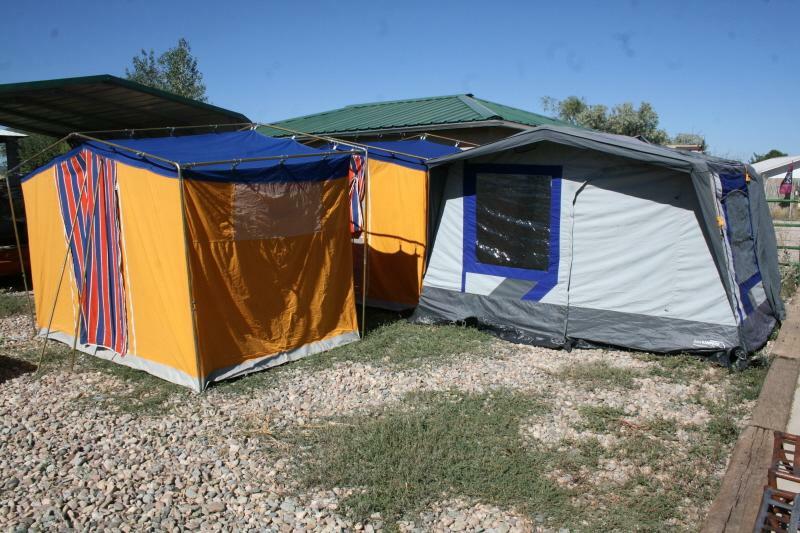 Beckel is still in operation, but make pricy wall tents now. 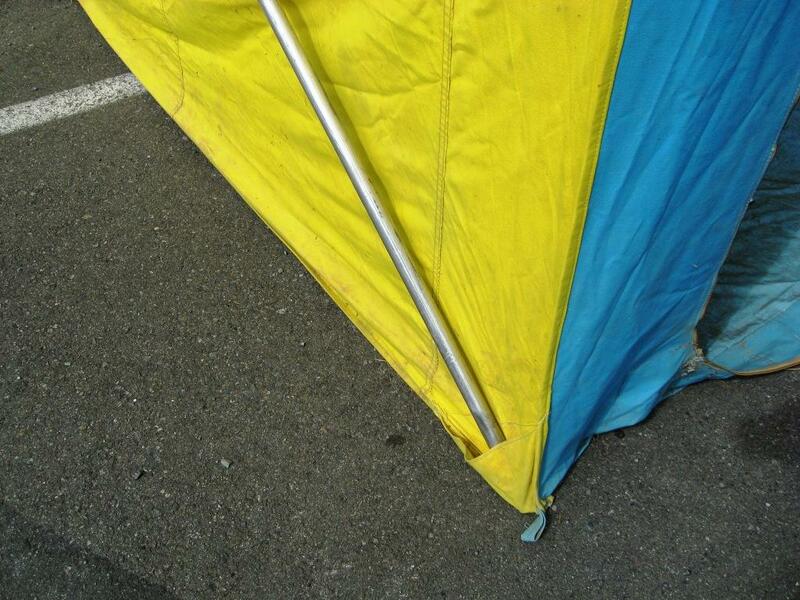 As the side tent is fairly flimsy, we use an awning in case it rains. Lead me not into temptation.....Oh hell, who are we kidding, follow me, I know a shortcut. I can see you pic on my phone, but not here on the samba. 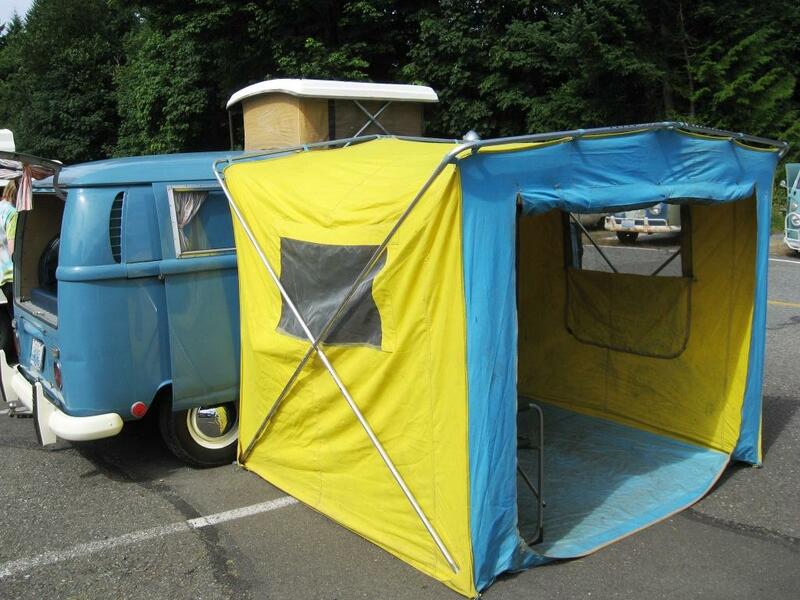 Cool tent! Here is one I have - A hersch weis made in Portland (white stag). I'm in the market for an affordable, easy to set variation on these. After witnessing what a pain the westy circus tent is to set out I can see why they're coming out less and less at shows. ????? I think the Westy tents are easy to set up. "Tram" says " My bus is bigger than your bus." 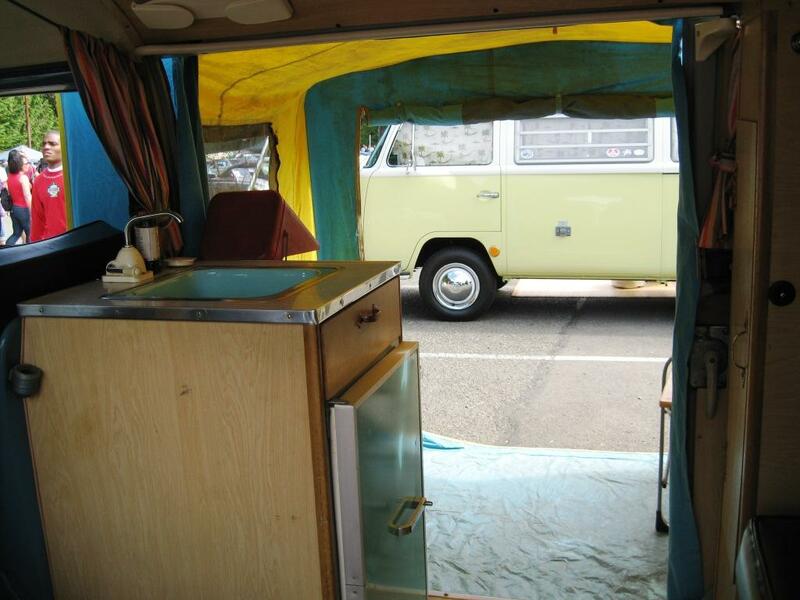 66 13W Deluxe, 68 Westfalia, 87 Syncro. Here are the four that I have. 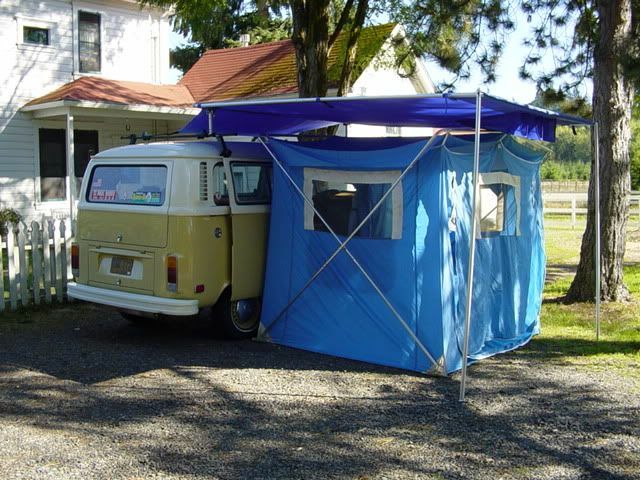 I like the Westy tents the best, for setup and that they have a floor and sock that will keep my dogs in the tent area. The third one I like, but no floor or sock. The last one I hate, and Chazz79 I will sell it to you. 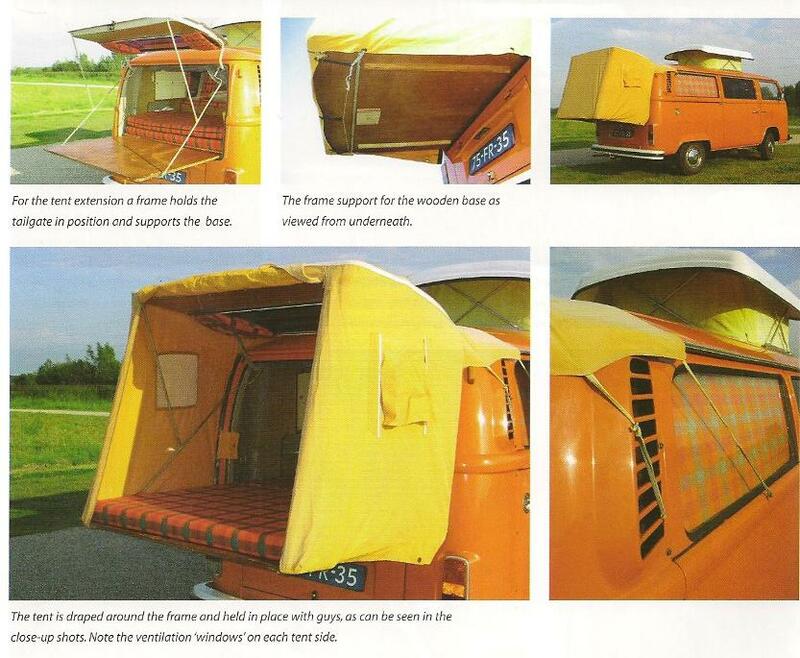 Great idea J, I've never had a Riv tent but it looks like it's better suited for splitty doors, are the later models different with a slider pocket or was there only one version?, I've seen the snaps along the rocker on Rivieras but never the tent that came with them. 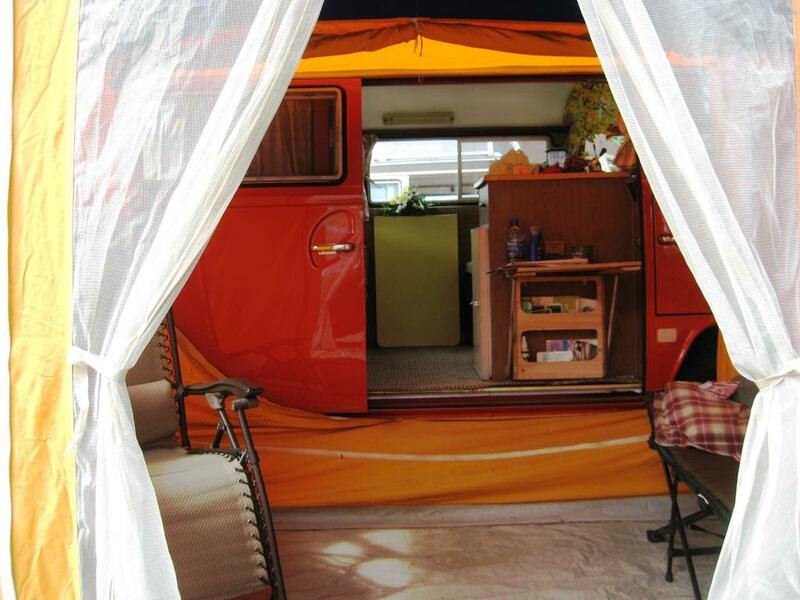 As for the red bus witn the Westfalia tent it's a shame whoever set it up didn't spend the extra 2 minutes and attach it to the bus fully, the best feature is being able to open and close the door while the tent is attached. 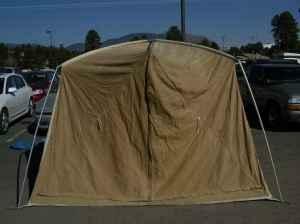 Here is a tent I came across a couple of years ago. I think Jason knew what it was. Seller would not negotiate on the price so I passed. It was all a heavy canvas. Ha I remember your take on a Amescador grandpa pete! I will have the repop version for my 77 some day. busdady I tend to agree that the ASI is better suited for the double doors. Even the White Stag I posted is. 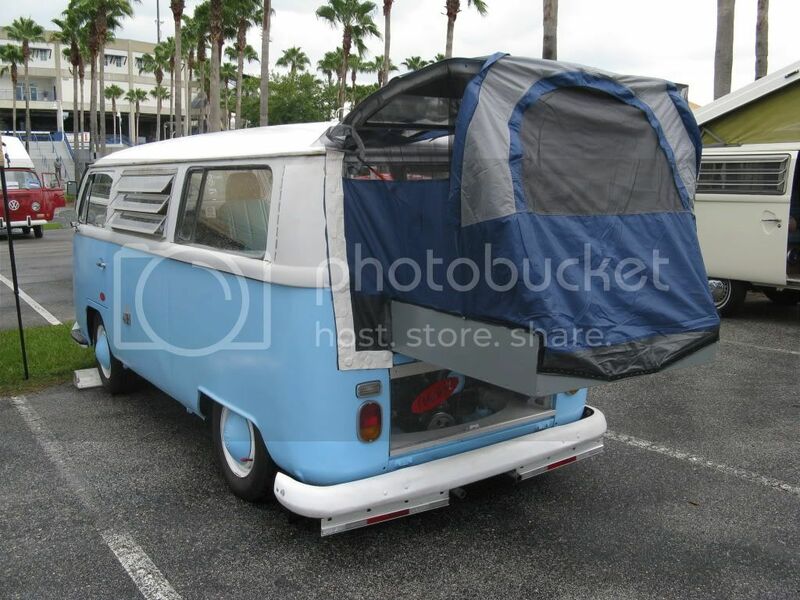 But I think they were made more generic, not form fitted like the Westy tent. 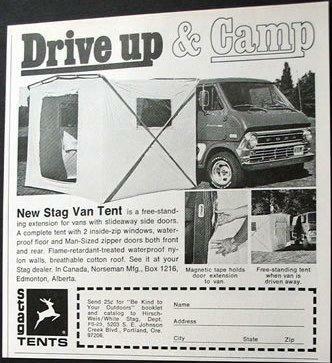 Ive seen Ads where the white stag is on an old ford van. The ASI and White Stag are very simular and when I was at the show I tried to see if I could find some sort of Stag connection with the ASI one. If Riviera built other conversions for other cars then Id bet the tents were maybe made more generic? Brian that one is a VWoA tent. 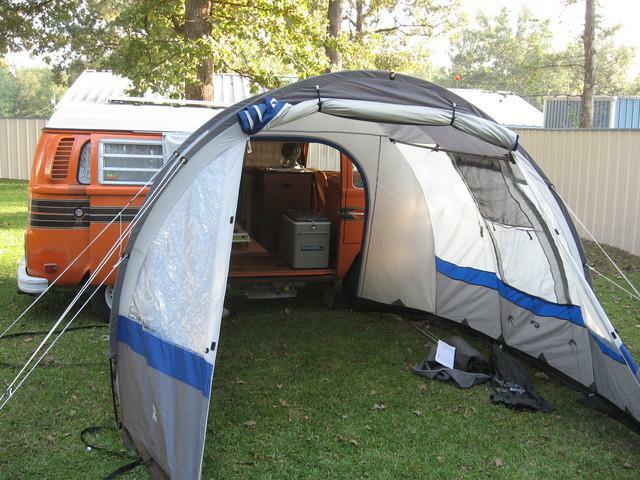 Cool tent to if you can get one at a decent price. The one you hate is straight out old school Euro type. Ive seen lots of vintage pics with those big no bottom types. busdady I tend to agree that the ASI is better suited for the double doors. Even the White Stag I posted is. 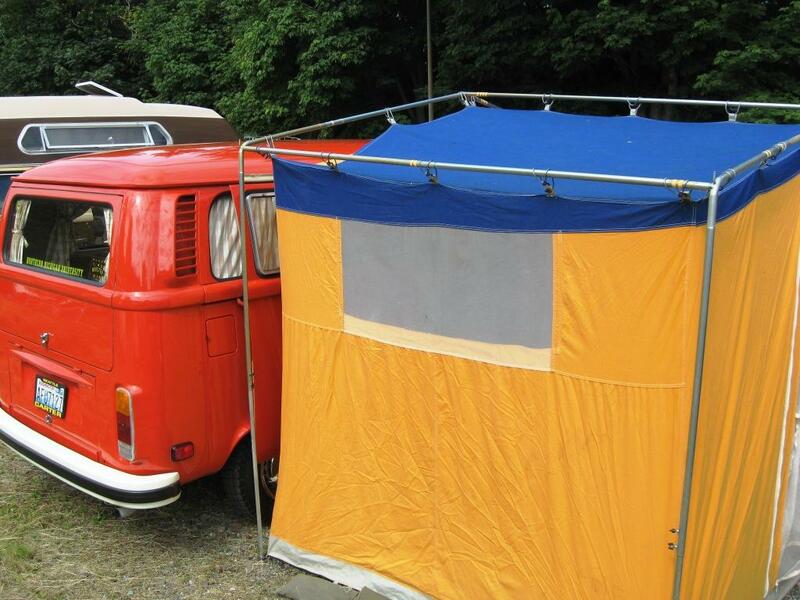 But I think they were made more generic, not form fitted like the Westy tent. Ive seen Ads where the white stag is on an old ford van. There were a couple different types of universals out there too. Could this be the link between White Stag and ASI ??? 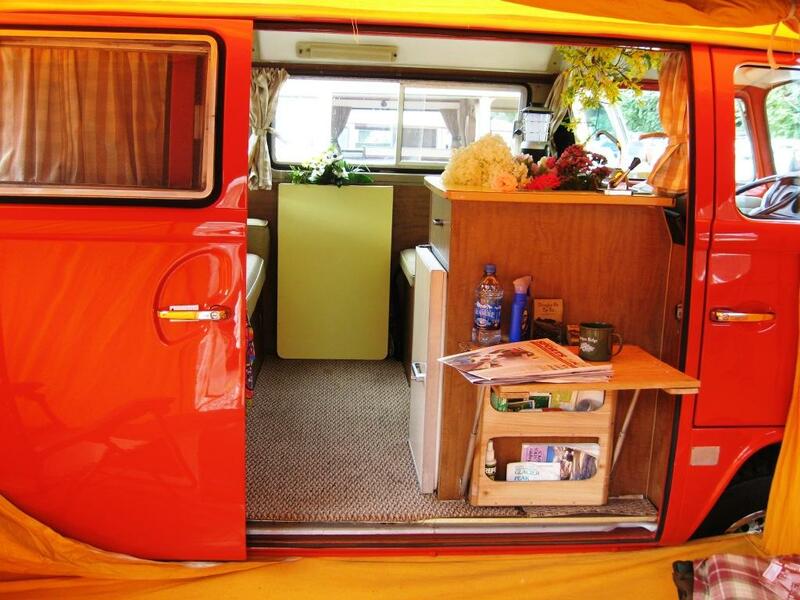 That's a VW Campertent. 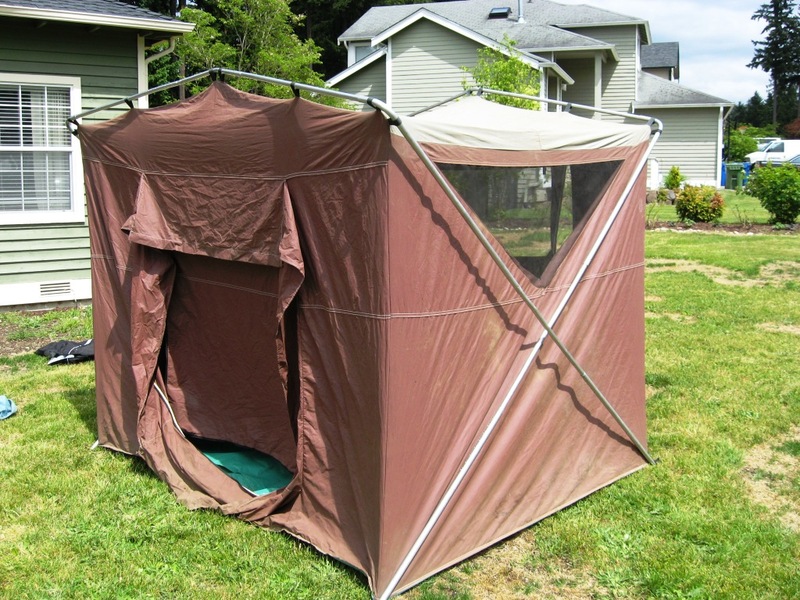 I had one years ago and loved it, very durable tent, held up good in all weather, heavy duty floor. Actually I still have it, found it one of my dad's barns earlier this year, the bottom foot of canvas is rotted, may try to repair it. 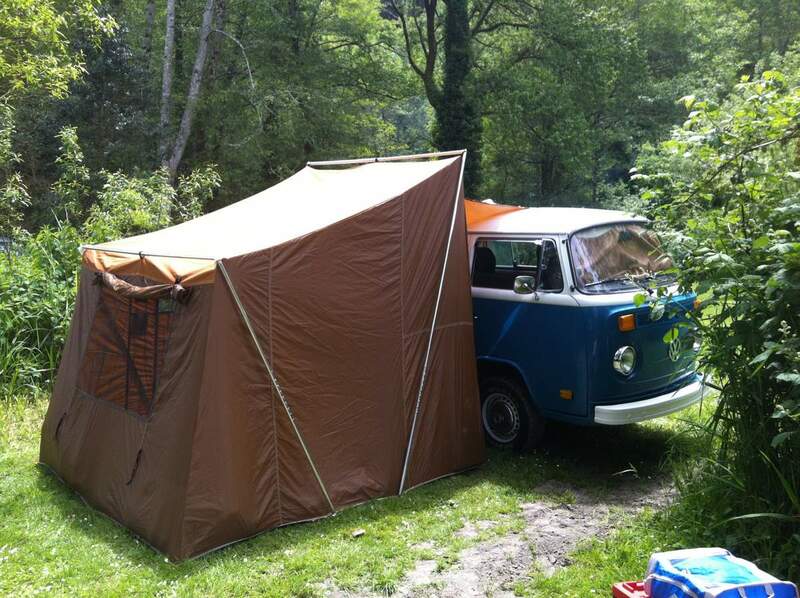 I have a westy tent but no poles- anyone have a spare set? or has anyone made their own replacements? No spares, but I have seen them for sale on occasion. I have also seen them made out of metal conduit. You can flare conduit, so one will slide into the next. I think one of mine has incorrect uprights, but I don't know where they came from. Here is one, that would be worth picking up for the poles. I got the OZtent. If I want I connect the awning to the bus. 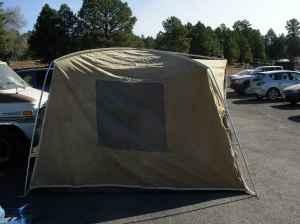 Can put it up within a few minutes, the actual tent in seconds. There's a vid as well but it's in Dutch. 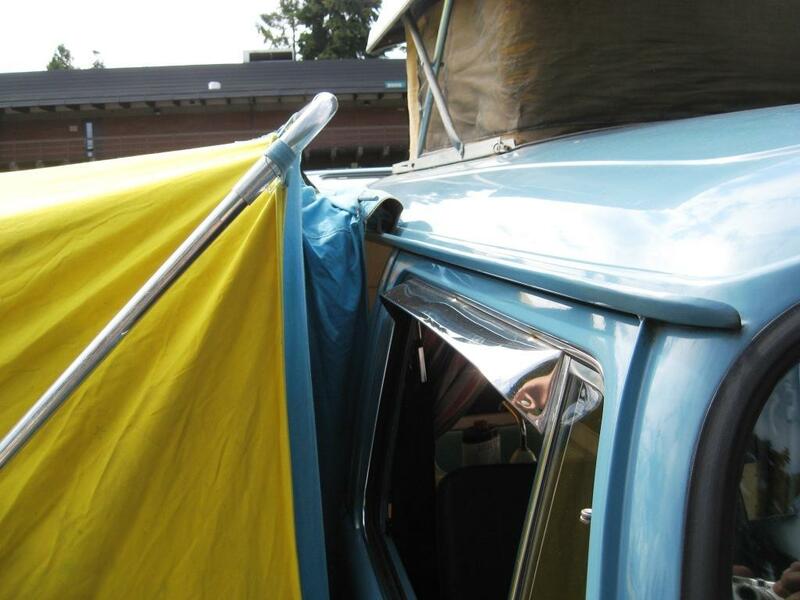 It will however show the tent inside frame. It's quite big, so during travel I store it on the roofrack. 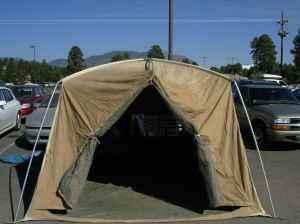 I have the original side tent for my bus...never use it though. What I would like is a canvas attachment for the slider so you could keep the slider open and insert said canvas in the opening. 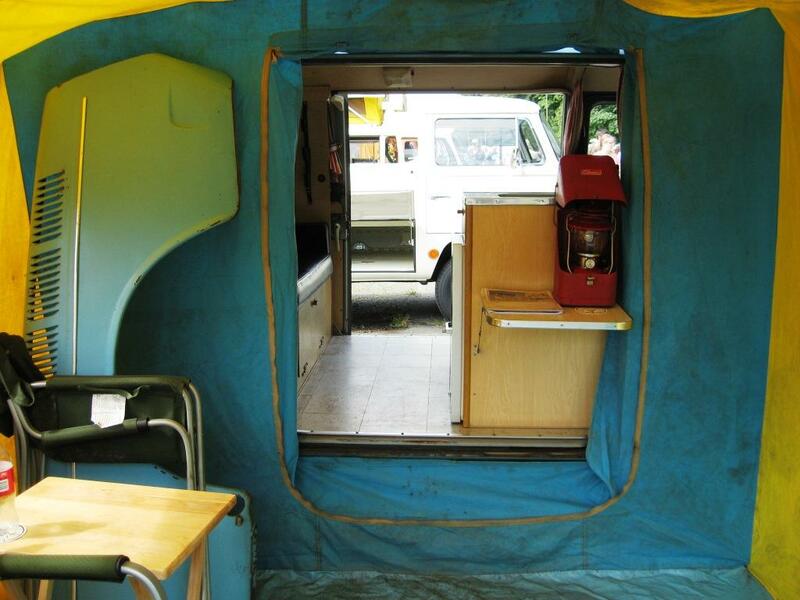 It could have some screen windows and a zippered opening like a tent. I think of this every time I get up in the middle of the night to do my business and have to open an close the noisy slider! Anybody ever seen something like this? Keift&Klock sell a slider masquito net with zipper.